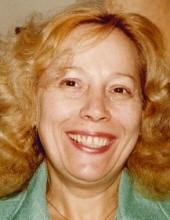 Patricia Mitchell Boggs. A precious Wife and inspirational Mother, Grandmother, and Great Grandmother. She walked everyday with a deep faith in the Lord. She will be greatly missed. To send flowers or a remembrance gift to the family of PATRICIA MITCHELL BOGGS, please visit our Tribute Store. "Email Address" would like to share the life celebration of PATRICIA MITCHELL BOGGS. Click on the "link" to go to share a favorite memory or leave a condolence message for the family.